Purchase an Ad in our June Playbill for Carnival of the Animals/Peter and the Wolf by clicking the link below. If you purchase an ad for our December Playbill for the Nutcracker as well, we will give you a 10% discount on your total order. Click below to access our forms and pricing. 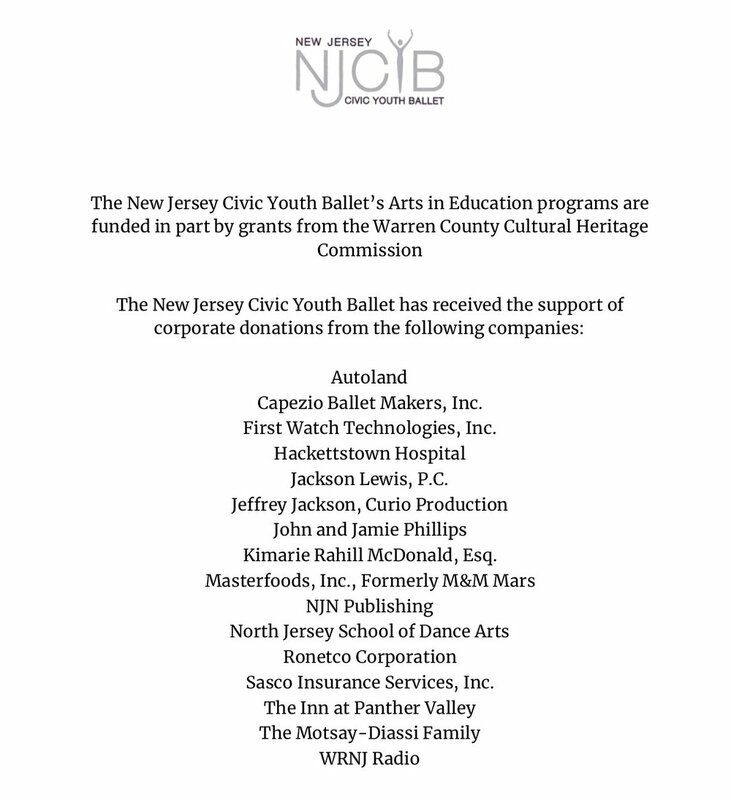 Return your form and payment with a digital copy of your ad to Alex@njcyb.org. Thank you in advance for your support. To the wonderful dance school that houses our non-profit, thank you for all you do for us! Wonderful wines at fabulous prices…WTSO donates the wine for our Friends Wine and Cheese Reception prior to each performance. MDBM donates gorgeous, high quality, leather handbags to our Designer Tricky Tray.